Warning: There are spoilers ahead for Rogue One: A Star Wars Story! Over two years following its release, Rogue One: A Star Wars Story continues to be a fan favorite. That said, it did end rather bleakly for all of its heroes. But a new behind-the-scenes story indicates that this wasn’t in the original plans. During a recent appearance on the CultPopture podcast (via The Hollywood Reporter), co-writer Chris Weitz broke down the film’s original ending, which had a more upbeat approach. However, Weitz didn’t reveal who got married at the end of the initial script. He went through with his more downbeat script, with the heroes making sacrifices. As a result, Weitz and director Gareth Edwards found themselves in the midst of restructure. Tony Gilroy also contributed to the film during editing, including an awesome appearance by a certain villain. 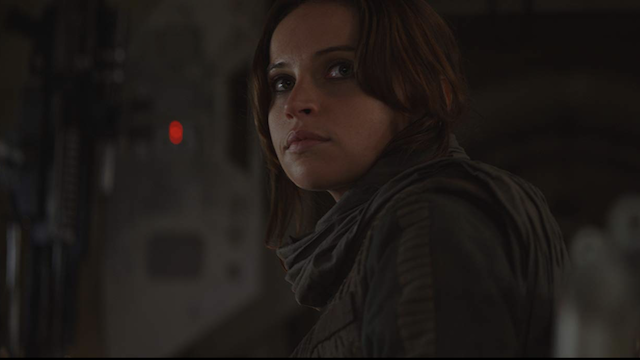 But in the end, fans found enjoyment with Rogue One– as did Weitz. Do you think Rogue One: A Star Wars Story would’ve been better or worse with its original ending? Let us know in the comment section below!